This was written by admin. Posted on Saturday, April 13, 2019, at 7:09 am. Filed under Uncategorized. Bookmark the permalink. Follow comments here with the RSS feed. Post a comment or leave a trackback. 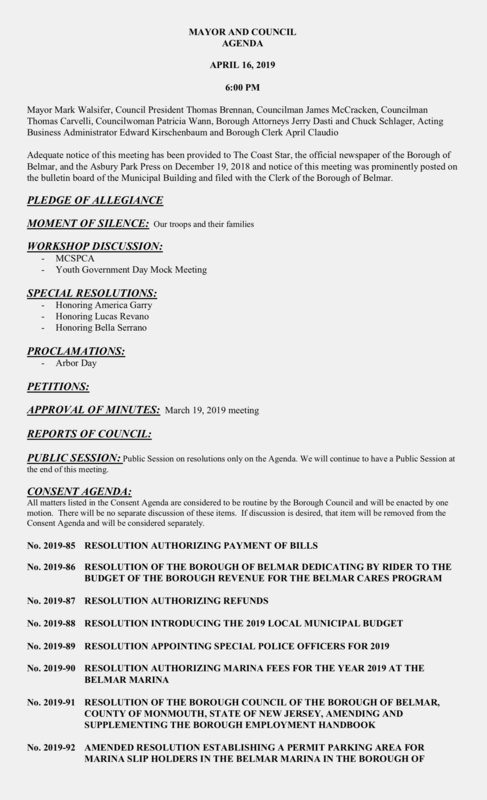 Can we have a Borough Hall, Belmar “As is” sale of obsolete equipment and notions? As long as said equipment isn’t going to be used as “Evidence”, that is. Sounds like the town needs revenue. Mayor and Council please take a look at all of the restaurants with outdoor tables on our town property and charge them a monthly fee of $100 per table. Start with Brandl (8 tables) and Jakes (2 tables) and Stay Gold. If someone was to trip and fall over one of those tables on town property would Belmar get sued or would the responsibility be with the restaurant? #2 I often thought the same thing. How do they get away with putting tables on borough property? Just like Merri Makers does. They fence off an area and put tables on the beach!! That is illegal!! Does 10th Ave Burrito go out onto Belmar Property ? 7 & 8 – 10th Avenue Burrito’s outside fencing is totally on borough property and should be removed along with their outdoor bar. Enough is enough with the nonsense that has been allowed in this town. When will anyone question the huge outdoor bar that D’Jais was allowed to build without and approvals? Djais owns the town regardless of party. The bonfires were nice what is the reason for removing them. Council is in love with Business Community, Untouchables. 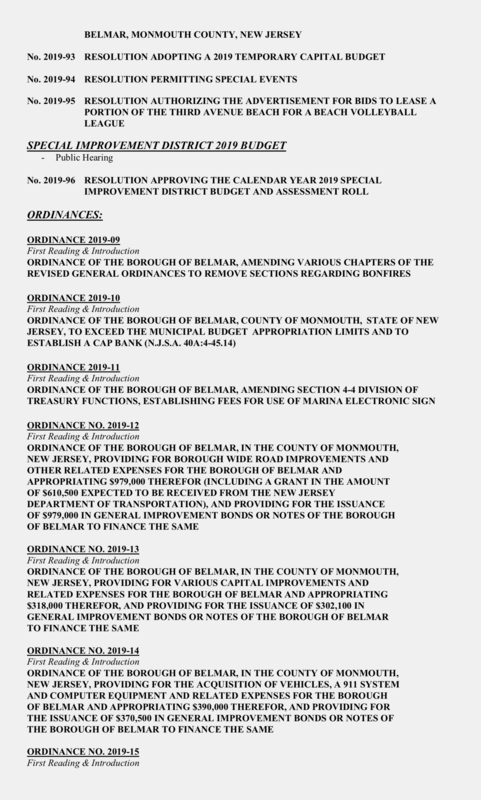 Bob and his Corporation control Belmar and you are paying for his Dirty mortgage.